Midnight Ambassador returned to his homeland of Portugal for two important shows recently starting off in his hometown of Beja. The second brought the band to the amazing setting of a monumental look out point with views of the river Sado in the city of Setúbal. The show was in Support of the #fazesparte project set up by the YMCA with the goal of releasing the stigma of mental health especially in the younger generation. Set up in connection with the #IAMWHOLE project by the YMCA UK, it has brought in the support of well known Portuguese musicians like Barbara Bandeira, Rui David and Xande. 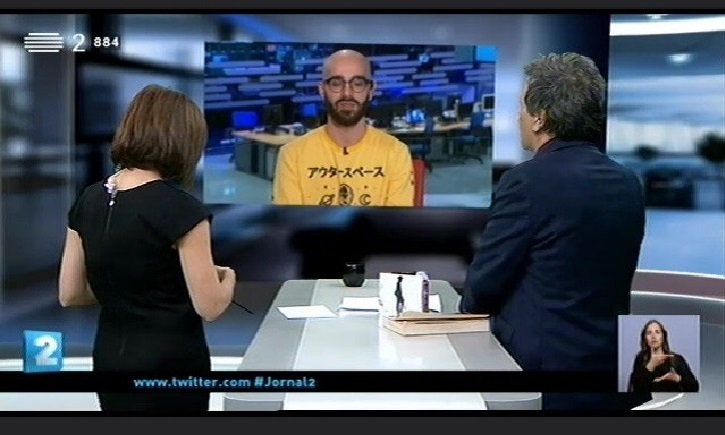 Ándre Graça (aka Midnight Ambassador) was interviewed on National TV RTP Jornal 2 about the event and his support of this very important cause. Midnight Ambassador will be playing at this years Canadian Music Week in Toronto in May, as well as two shows soon to be announced in London.